Saturday and Sunday, May 18-19, in Sydney, Australia at the “My Lords & Ladies Medieval Fayre”, part of the “Blacktown City Festival”, Full Tilt will be running the “Tournament of St. George”. 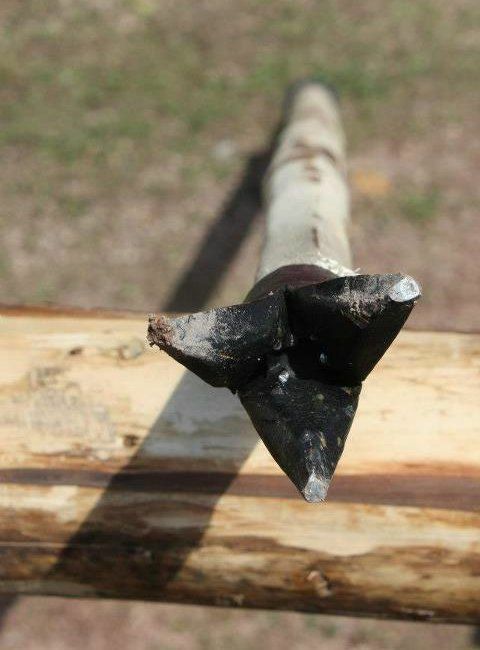 In addition to the standard frangible lance joust – which is an open joust subject to application and approval – there will also be a solid tapered lance joust with steel coronels. These are the same kind of lances that were used in the prestigious “Grand Tournament of Sankt Wendel”. 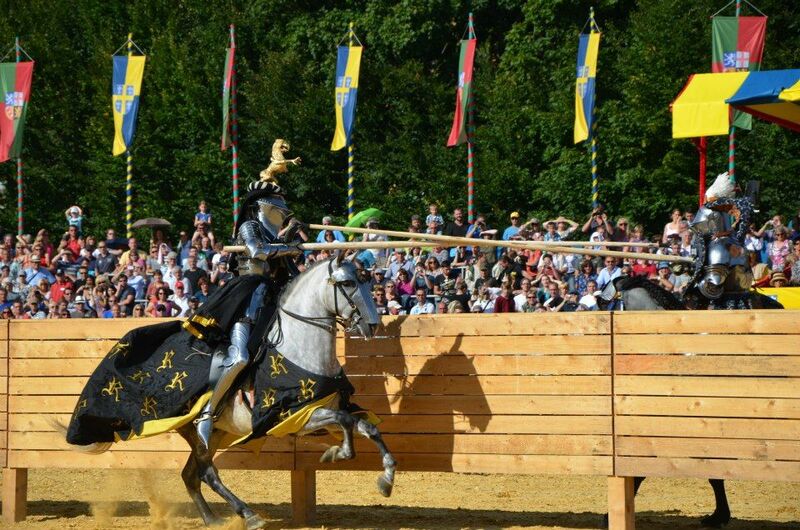 Only those few jousters already chosen will be competing in the solid tapered lance joust. Competing in the solid tapered lance joust will be Rod Walker, Arne Koets, Andrew McKinnon and Luke Binks. Rod Walker, is probably best known for being the coach of the winning black team in the tv show “Full Metal Jousting”. 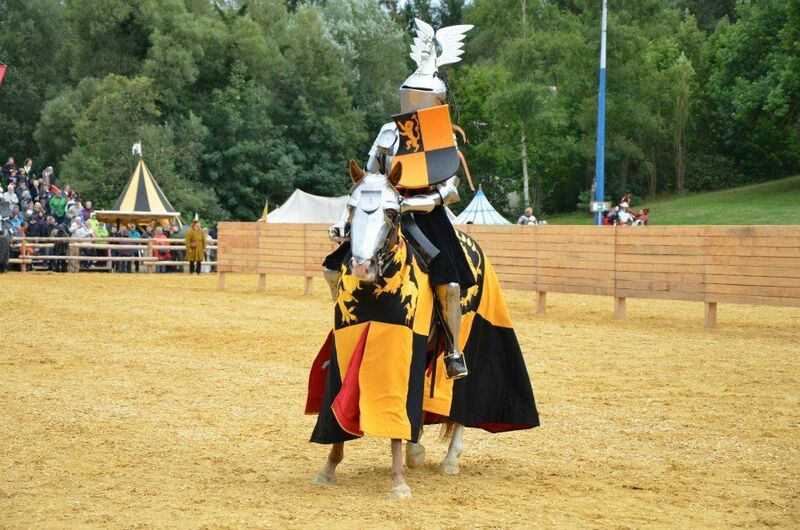 He has been jousting competitively for many years and has competed in tournaments all over the world. Rod won the joust at last year's Blacktown Medieval Fayre. He and his wife Michelle run “Full Tilt”. Arne Koets not only jousted in, but also organized the prestigious “Grand Tournament of Sankt Wendel” at which, he came in second place overall. He would have come in first, except he persuaded the Lady judges to give some of the points they were going to give to him to Joram van Essen whom Arne had accidentally injured earlier in the tournament. 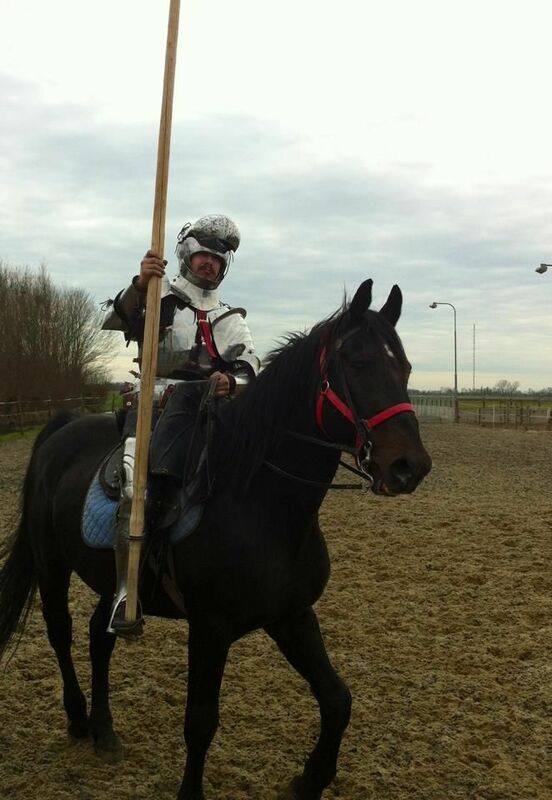 Arne is also the good-natured subject of a widespread jousting jest, the "International I Want To Be Arne Koets Day". 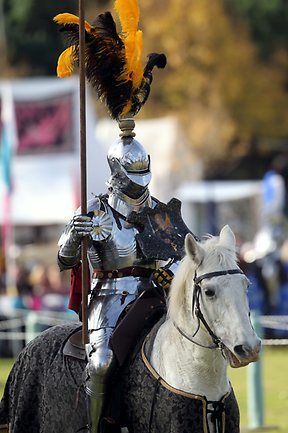 Although Andrew McKinnon had never ridden a horse before his 40th birthday, and never jousted competitively until 2010, he has since competed in several international tournaments, including some in New Zealand and France. 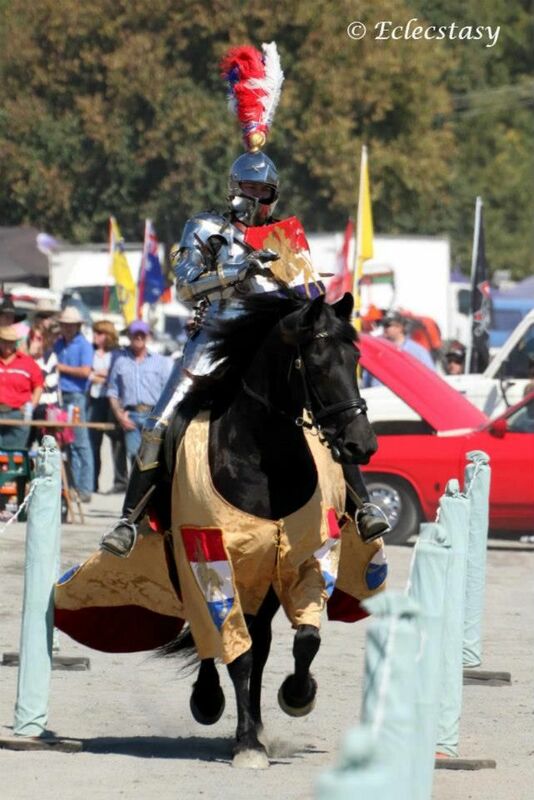 In May of 2012, Andrew earned third place in the Australian Jousting Championship held at Bathurst. 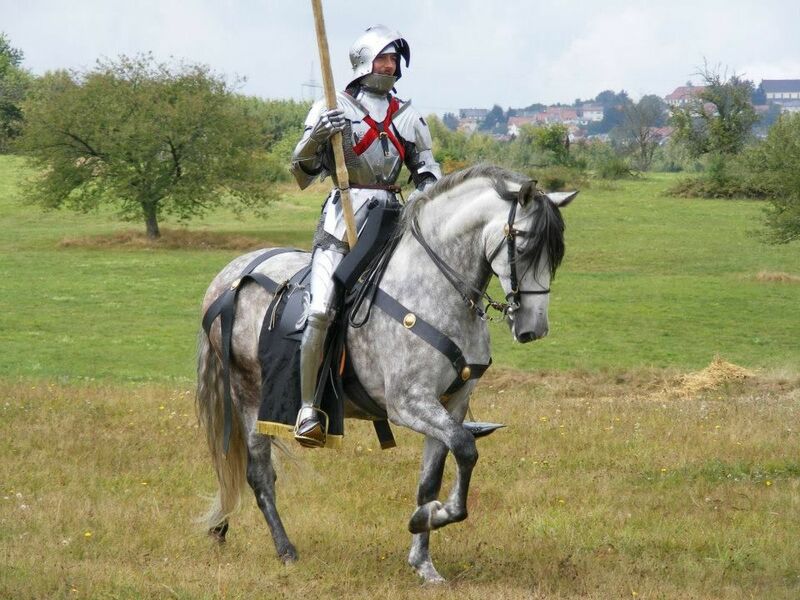 Andrew looks forward to developing his dressage and jousting skills and winning more renown in Australia and overseas. After spending some time in Norway, Luke Binks has returned to his native land of Australia. In order to satisfy his lifelong passion for knights and the middle ages, Luke started to make armour, learn to fight and to ride horses in 2002. Since then, Luke has competed in numerous tournaments in over 10 different countries. He has also taught several jousting clinics. The above jousters will also compete in the frangible lance joust where they will be joined in competition by Sarah Hay and Ben van Koert. Sarah Hay is probably the best and certainly the most active woman in competitive jousting. In 2012, Sarah won the “Full Tilt International Jousting Tournament” which served both as an international jousting tournament and as the Australian national championship tournament. Sarah won both aspects of the tournament. This was not the first tournament she had won, she has won at least six others, and has competed in numerous tournaments around the globe. Ben van Koert is probably best known for the wonderful videos he has created of jousting and jousting tournaments through his company Kaos Historical Media. He created the promo video for the “Grand Tournament of Sankt Wendel” as well as a video of the tournament itself. For this tournament, however, he will be in front of the camera rather than behind it. You can find more details about where and when the jousting tournament will take place on the “Blacktown City Festival” and the "My Lords & Ladies Medieval Fayre" website. You can find out more about “Full Tilt” on their website.